Australia will join the Earth BioGenome Project, launched in London on Thursday, with the '50 in 5 initiative'. The global project is the most ambitious genomic project since the Human Genome Project and aims to map the genetic code of 1.5 million species. In Australia, University of Sydney is joined by UNSW, University of Melbourne and the Australian museum to map 50 species, including the bilby and numbat. Funder: Multiple global institutions, coalitions and universities. Seed funding from Wellcome Sanger Institute. The Earth BioGenome Project, a global effort to sequence the genetic code, or genomes of all 1.5 million known animal, plant, protozoan and fungal species on Earth, was launched on Thursday as scientific partners and funders from around the globe gathered in London to discuss progress in organising and funding the project. The Earth BioGenome Project (EBP) will ultimately create a new foundation for biology to drive solutions for preserving biodiversity and sustaining human societies. Australia is being represented at the EBP launch by Professor Katherine Belov from the University of Sydney School of Life and Environmental Sciences. 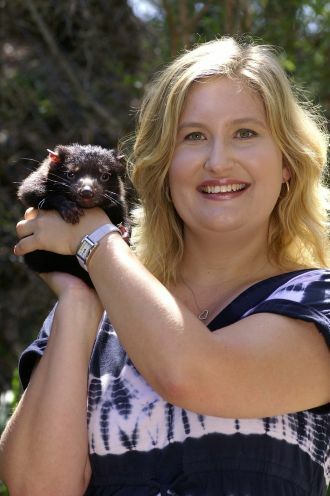 She will help lead the Australian team aiming to sequence 50 species over the next five years. The EBP aims to sequence, catalogue and categorise the genomes of all of Earth’s eukaryotic* biodiversity over a period of 10 years. The projected cost of the EBP is $US4.7 billion. Accounting for inflation, the Human Genome Project today would cost $US5 billion. A greater understanding of Earth’s biodiversity and the responsible stewarding of its resources are among the most crucial scientific and social challenges of the new millennium. The overcoming of these challenges requires new scientific knowledge of evolution and interactions among millions of the planet’s organisms. Currently, fewer than 3500, or about 0.2 per cent of all known eukaryotic species have had their genome sequenced. 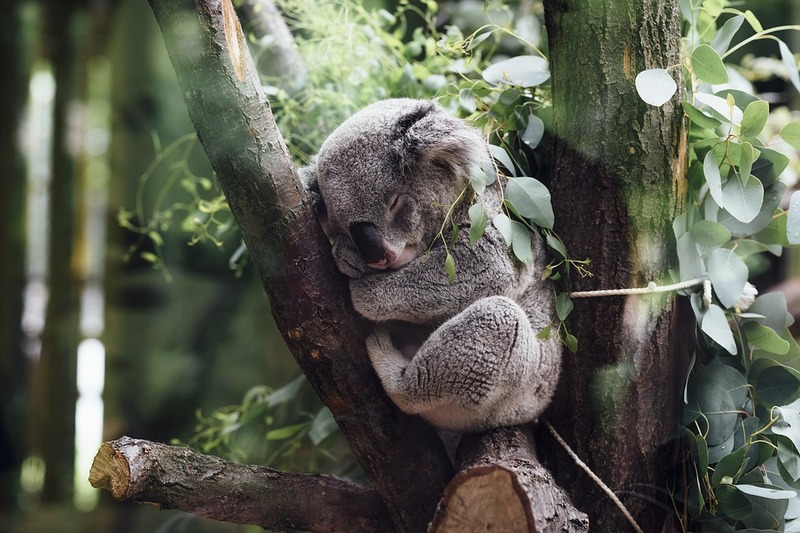 The successful sequencing of the koala genome was announced in July by the Australian Museum, University of NSW and the University of Sydney. Sequencing all genes of all life will revolutionise our understanding of biology and evolution, bolster efforts to conserve, help protect and restore biodiversity, and in return create new benefits for society and human welfare. The EBP has made extraordinary progress in the last year leading up to the official launch. A collaboration of 17 institutions from across the globe, including the USA, United Kingdom, China, Germany, Australia, Denmark and Brazil, has come together and signed a Memorandum of Understanding that commits each institution to work together toward the common goals of the project. It is expected that additional partner institutions, organisations and communities will join as the project progresses. That project – the 50 in 5 initiative – will be led by Professor Belov, Dr Rebecca Johnson from the Australian Museum Research Institute, Professor Marilyn Renfree from the University of Melbourne and Professor Marc Wilkins from UNSW. The effort will be supported by researchers at University of California, Davis. The initiative also has in-principle support from the threatened species units at state and federal level. “This genomic data will provide the foundation for strategic genetic management of small, isolated populations of iconic and unique marsupials, amphibians and birds, including the bilby, numbat, orange-bellied parrot, red handfish and plains-wanderer. This project will build on recent achievements of sequencing sets of species’ genomes for the first time. For example, the Vertebrate Genomes Project, which aims to sequence the genetic code of all extant vertebrates, released the genomes of 14 species, including bat and fish species, the Canadian Lynx and Kakapo. The Sanger Institute will lead the UK contribution to the EBP by sequencing all 66,000 eukaryotic species across the British Isles, in a project known as the Darwin Tree of Life Project. *Eukaryotic species (animal, plant, protozoa and fungi) are organisms whose cells have a nucleus enclosed within membranes, unlike prokaryotes, which are unicellular organisms that lack a membrane-bound nucleus, mitochondria or other membrane-bound organelles (Bacteria and Archaea). The Earth BioGenome Project activities are being funded by the participating organisations as well as private foundations, government organisations and crowd-funding sources. Participating institutions are committed to raising funds to complete the project in 10 years. Significant funds have already been raised to meet the $US600 million goal necessary to complete Phase 1 of the project, to produce about 9000 reference quality genomes across all taxonomic families. The EBP will coordinate currently independent biodiversity genome sequencing projects and organizations involved in specimen collection, including in Australia, Brazil, Chile, Columbia, Denmark, Germany, Norway, the United Kingdom, and the United States. Coordination functions will include planning, strategy, communications and funding. The EBP aims to achieve common standards across all taxonomic groups of eukaryotes for sample collection, DNA sequencing, annotation and genome analysis. Australia's representative at the launch of the Earth BioGenome Project in London is Professor Katherine Belov from the University of Sydney. Professor Belov helped map the koala genome and is conducting research into the genetics of the Tasmanian devil's facial cancer. 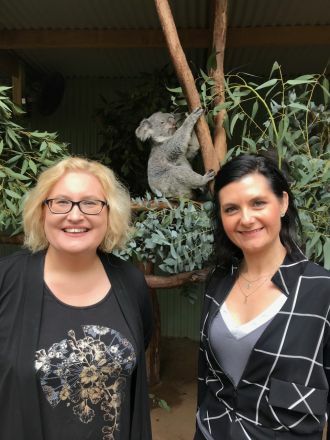 Professor Katherine Belov (left) from the University of Sydney and Dr Rebecca Johnston from the Australian Museum Research Institute. The University of Sydney, Australian Museum and UNSW in July announced the genomic sequencing of the koala.